In a bowl, mix yogurt, honey and orange zest until blended. 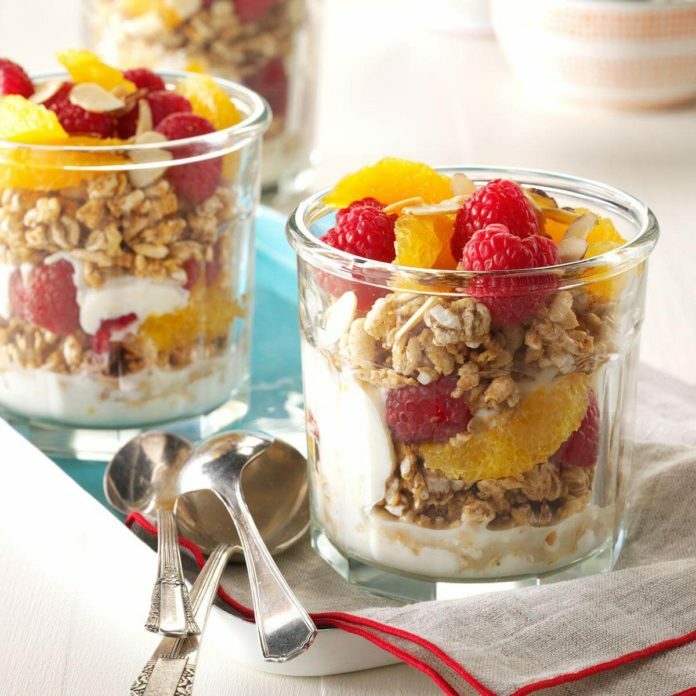 Layer 1/4 cup of each of the following: yogurt mixture, cereal, orange segments and raspberries in four parfait glasses. Repeat layers. Top with remaining yogurt mixture; sprinkle with almonds. Serve immediately.